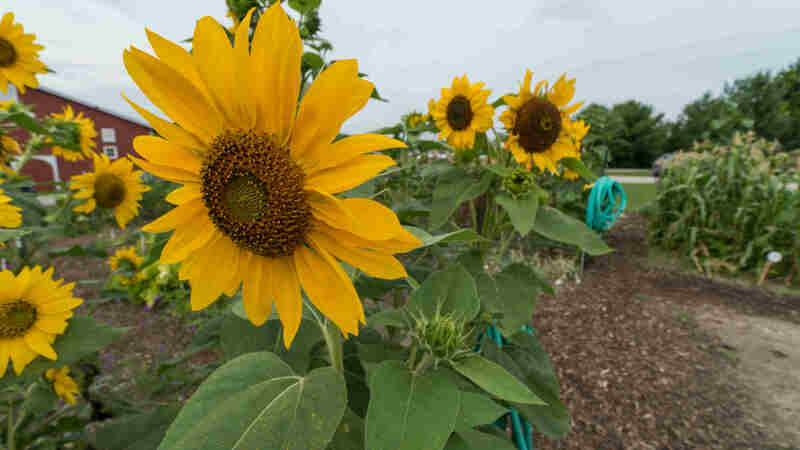 Hours: Daily, 6:00 a.m.-11:00 p.m.
Salomon Farm Park was launched in 1996 through the generous donation of land by Chris Salomon. 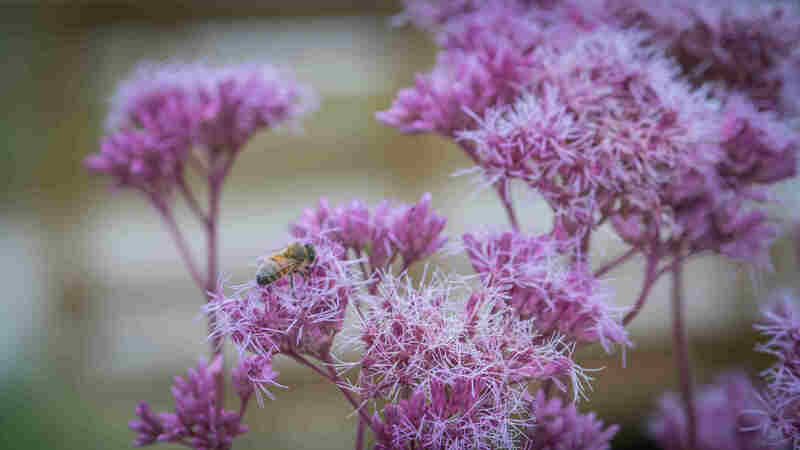 Mr. Salomon, his daughter Lynn, and Salomon's wife Maxine had discussed and conceived, perhaps twenty years earlier, the potential of their beautiful landmark farm becoming a historic working farm and park for others to experience. With the assistance and grateful acceptance of the Fort Wayne Board of Park Commissioners and the Parks and Recreation Department, the Salomon family wishes have come true. Construction on the Wolf Family Learning Center began in 2000 and was completed in 2001. 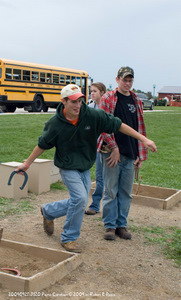 Salomon Farm Camp was introduced in the summer of 2002 and sold out in its first year, leading to the 4,000 square foot expansion of the Wolf Family Learning Center in 2018. Salomon Farm Park is a true historic gem and a perfect location for walking, biking, bird watching, photography and much more. 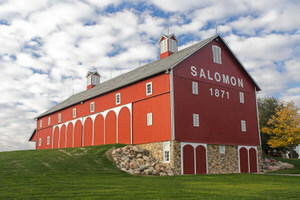 The Salomon's established the farm in 1871, but visitors will notice the endearing 1930's theme. Stop by for a visit to admire historic buildings, relax at the wetlands, or enjoy our fully paved 1.8 mile trail around the property. Follow us on Facebook for news, updates, and announcements! The period selected for the operating theme for Salomon Park is the 1930s. 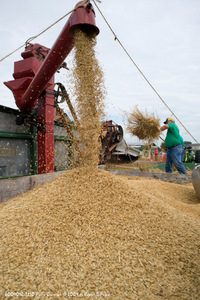 This era is a very significant watershed in farm life, as the 1930s represent a lengthy era of similar aspects of agriculture and domestic life. It also is somewhat unique to the "museum" genre as an era with great personal interest to older Americans as well as great opportunities for appeal, education, entertainment, and recreation for younger visitors. 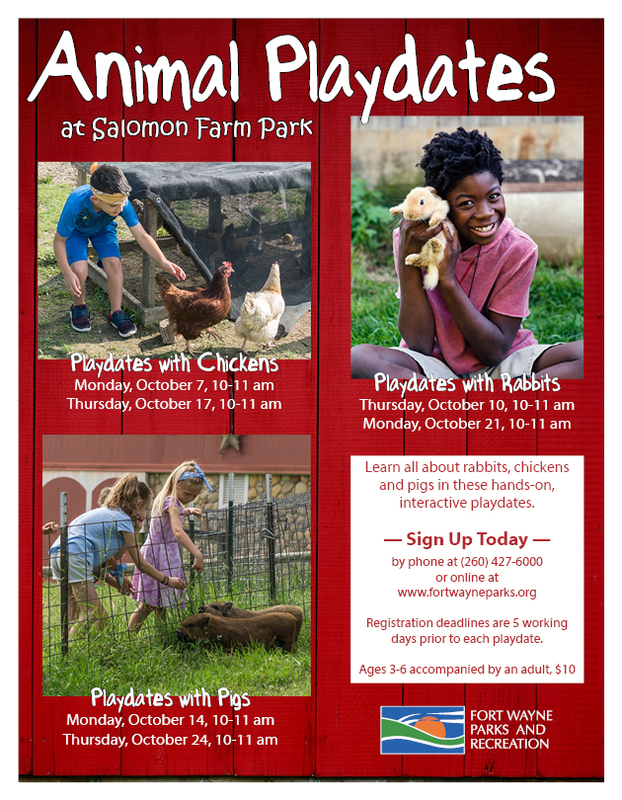 Salomon Farm Park offers many exciting programs and classes for adults and children related to nature. 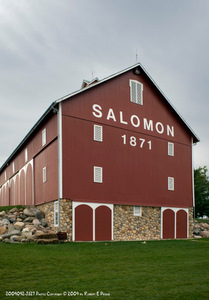 Salomon Farm is located on the northern edge of Fort Wayne. From I-69, take the Dupont Road exit (#116) and head west on Dupont Road for 2.7 miles. Salomon Farm Park is on the left (south) side of the road. If you are coming from SR 3, turn east onto Dupont Road. The park is on the right (south) side of the road approximately 1/2 mile from the SR 3 & Dupont Road intersection. Click here for a Park Map. 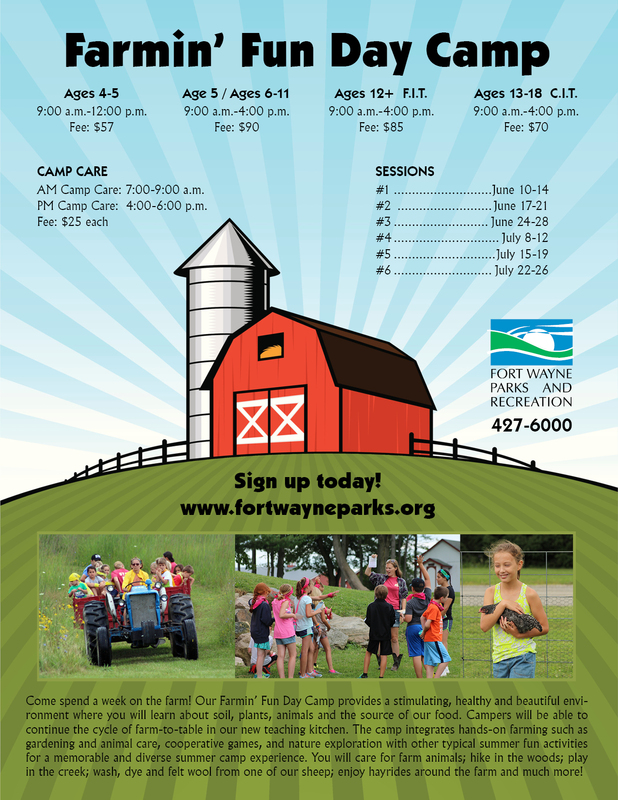 We are offering a wide variety of programs and special events including our Famin' Fun Day Camp this summer. Learn more about our upcoming events and programs! 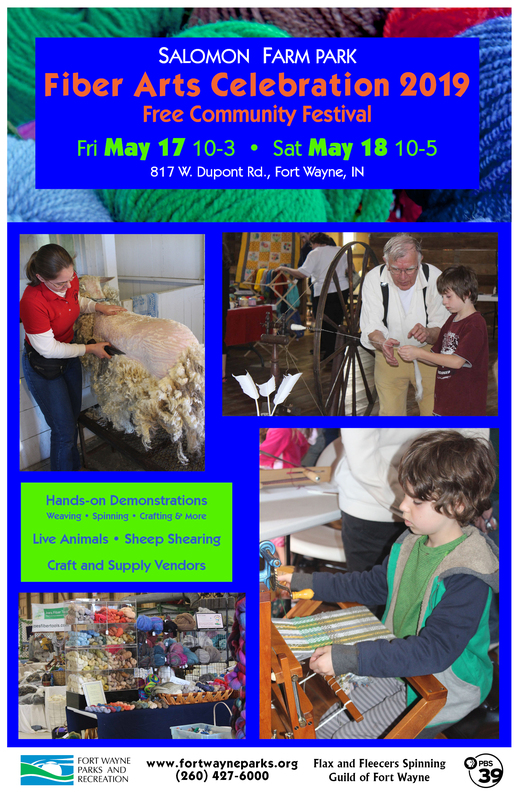 Salomon Farm Park is always looking for volunteers (individuals and groups) to help with activities and events at the Farm. If you are interested in getting involved, call Kellie at 260.427.6005 for more information. The Old Barn may be reserved from May-October. The Wolf Family Learning Center is available to rent all year long, except in June and July. Check out the Rental link to learn more! 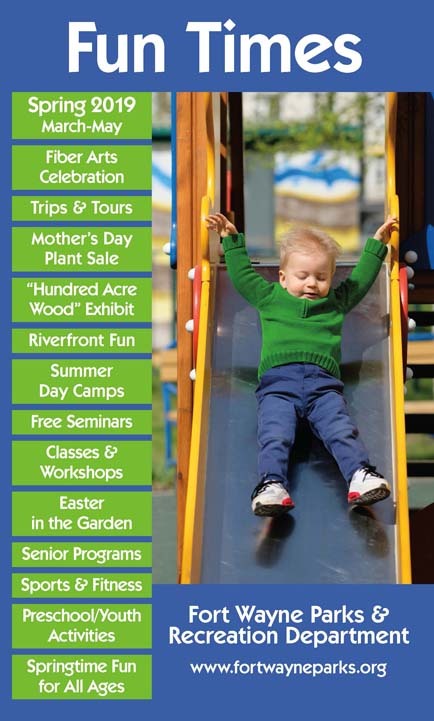 Be sure to visit our Salomon Farm Park Facebook page!